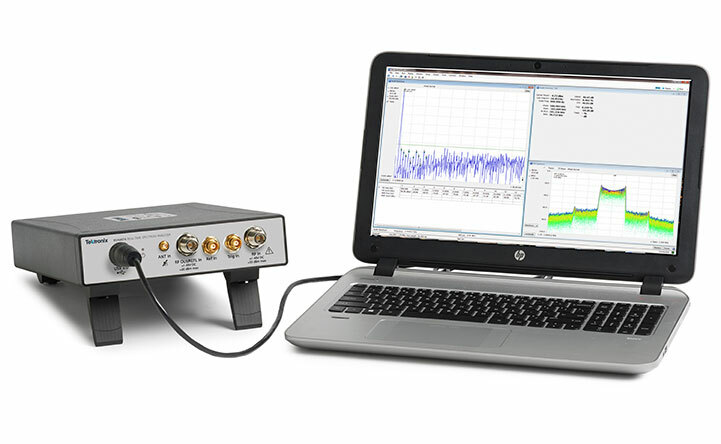 Tektronix is a leading manufacturer of high frequency test equipment. MRC Gigacomp is the European distributor of USB controlled VNAs TTR503A and TTR506A, USB real time spectrum analyzers RSA306B, RSA503A, RSA507A, RSA603A and RSA607A, the vector signal generators TSG4102A, TSG4104A and TSG4106A and matching accessories. Tektronix' USB-two-port VNA family TTR500 represents an unsurpassed combination of RF performance, practical format and attractive price. 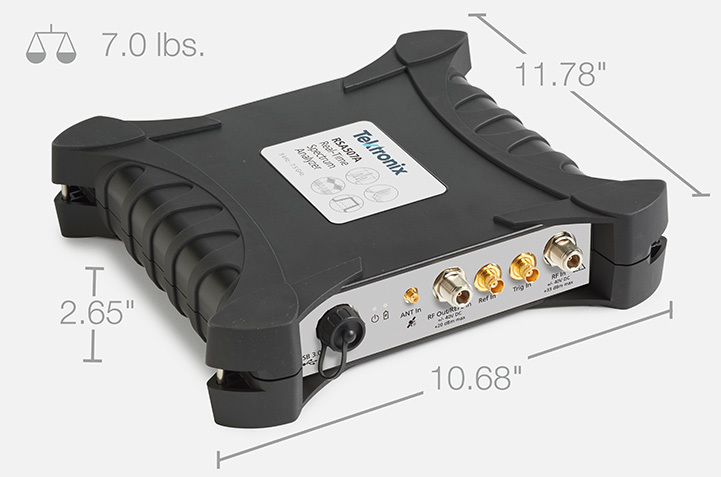 The Tektronix real time spectrum analyzers expose details with the help of DPX Technology that you could not see with normal spectrum analyzers or network analyzers. 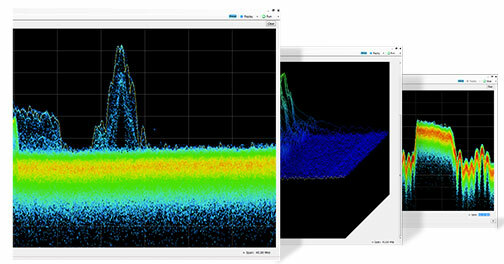 USB spectrum analyzers from Tektronix have 40MHz analysis bandwidth. That's twice as much as the Rohde & Schwarz FSH, four times as much as the Keysight FieldFox and more than twice as much as the Anritsu Spectrum Master. Visualize and characterize your device or your component with the precise USB real time spectrum analyzers of the RSA600 series which are provided with functions that support you with your wireless, EMV and IoT projects. 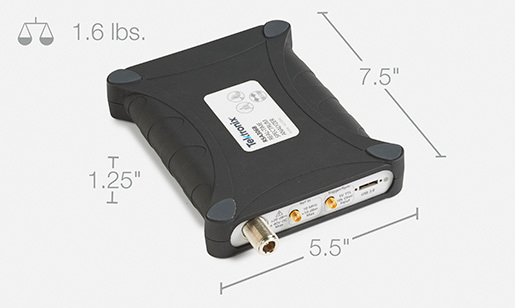 Find the sources of interference and solve network problems with the new USB real time spectrum analyzers of the RSA500 series that are prepared with all the necessary functions for your most frequent tasks in the mobile use, e.g. for EMV Pre-Compliance Tests. The RSA306B USB spectrum analyzer is compact and has a lot of functions that you otherwise only find in twice as big and twice as expensive spectrum analyzers. It is perfect for the daily tasks in the field. SignalVu PC	helps to control the USB spectrum analyzers RSA306B, RSA503A, RSA507A, RSA603A and RSA607A. 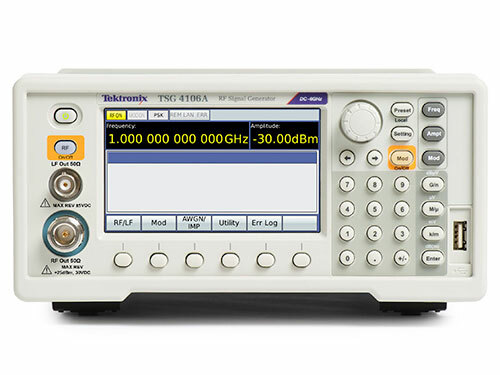 The vector signal generators TSG410xA offer a surprising performance for an entry-level price. They can easily be actualised by software from analogue modulation to vector and digital modulation. Therefore they are usable very flexible and offer the best investment protection. 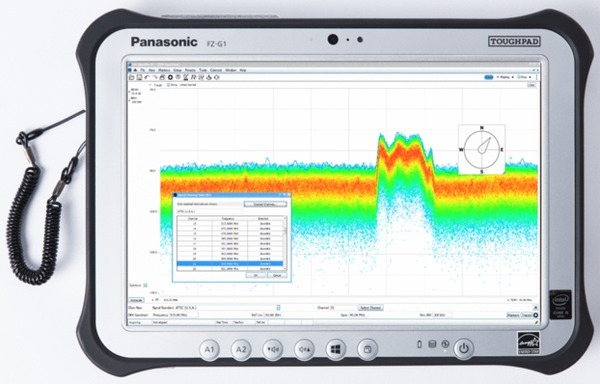 For the control of the USB spectrum analyzers RSA306B, RSA503A and RSA507A we recommend the FZ-G1 Windows-Tablet. The SignalVu-PC Software is already installed with pre programmed display settings and the configuration is so chosen to not affect the real time performance of the USB spectrum analyzers. A weaker configuration would not be able to capture all signals anymore. Of course you can write your reports also on this Windows 7 Tablet with 10,1" screen and immedeately send them with the integrated LTE-module.